Addressing the opening session of the just concluded CARICOM Heads of Government meeting in Montego Bay, both Mia Mottley, the Prime Minister of Barbados, and Gaston Browne, the Prime Minister of Antigua, spoke about the need to radically improve inter-regional travel. 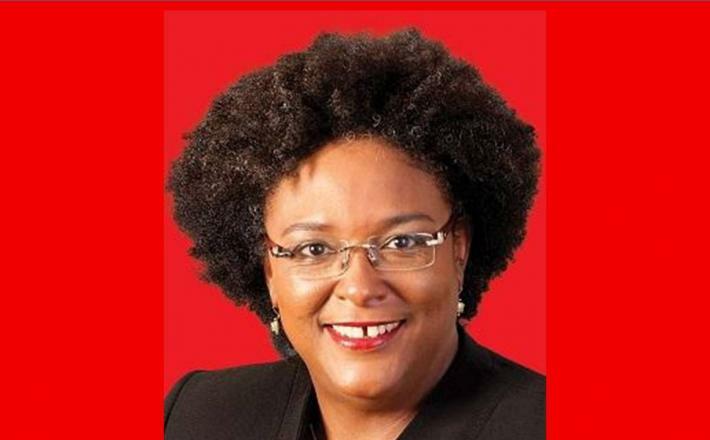 Ms Mottley repeated her view that unless it becomes possible to move freely within the Caribbean using a CARICOM multi-purpose identification card, the regional integration process was unlikely to flourish. What was required she said, was “hassle-free travel” and a “single domestic space for transportation”. This she observed, would facilitate economic development and the interchange of ideas, while encouraging a sense of common purpose that would ultimately strengthen regional integration. Committing her government to working urgently with partner governments to make LIAT, the sub-regional air carrier, “an affordable and reliable service”, she spoke also about the need for much-studied inter-island ferry services to be taken from concept to reality to the benefit of business and citizens. In a similar vein, Mr Browne said that if the Caribbean people were to belive in Governments’ commitment to regional integration, an effective regional transportation system was required, “even at the cost of a subsidy”. Neither statement is new. If the Prime Ministers of the Eastern Caribbean and the wider region are to be taken seriously it is to be profoundly hoped that when the final summit communique is published it will indicate with an agreed time line the practical steps Governments have agreed to take to bring Caribbean air and sea transport and ease of access into the twenty-first century. There is no shortage of quality advice from professionals, economists and academics on how to achieve this. For example, in a recent interview in the Antigua Observer, the CEO of LIAT, Julie Reifer-Jones, expressed the view that the in-transit taxes charged by all governments have become “counterproductive”. She said that while she understood the need to sustain airports, the resulting high cost of airfares had become a more pressing issue. “What we observe is that the airports in the region are generally using travel as a way of generating revenue to sustain the airport, but it is at the point now where it is counterproductive, because the proportion of the ticket that is taxes is way too high to stimulate travel in the region,” she said. To begin to address the issue she proposed that governments remove transit taxes: the multiple levies imposed on travellers en route to another destination by each nation that a plane lands at. These, Mrs Reifer-Jones noted, accumulate as LIAT’s passengers move throughout the region because so many fly more than one sector, routing through Barbados, St Vincent or Antigua if they are connecting elsewhere in the region. Noting that the issue was not an easy one for governments, she suggested that some territories were now willing to “commit” to an adjustment in such taxes and said that “a more robust discussion” than ever before was now underway, involving a wider range of nations. Her sentiments are backed up by a recent study produced by the Caribbean Development Bank (CDB) which shows a decline in regional travel caused by high levels of tax and other factors, but a growth in extra-regional travel. The CDB working paper ‘Air Transport Competitiveness and Connectivity in the Caribbean’ is particularly helpful as it demonstrates why and how improved connectivity can create economic growth and employment, especially in the smaller islands of the Eastern Caribbean. Its three authors note that connectivity in the region is being held back by a combination of taxes, fees and charges which add to the cost of travel. They also observe that regulatory barriers, institutional impediments, including the inefficient use of infrastructure, and several other factors are damaging competitiveness. To remedy this, they propose: a reduction in aviation taxes, especially for inter-regional travel; a reduction in airport charges to allow airlines to operate in markets where yields are lower, and to attract new air services; the signing of new bilateral air service agreements so as to encourage competition between carriers, new routes, improved connectivity, and reductions in air fares; and improvements in infrastructure to make travel as seamless as possible. Such actions they believe belive could create around 0.2m new jobs by 2036, add about US$4.4bn annually in GDP across the Caribbean, and result in an overall 26% increase in passengers. Although this is all common sense, it requires Caribbean Heads of Government to act on their words and ensure that their finance, transport, immigration, home affairs and security ministers and all their officials work together to overcome the present protectionist, bureaucratic approach that often seems to expect someone else to pay. As this column has noted before it is quite possible to provide an efficient viable air service in circumstances that are broadly similar. COPA, the Panamanian airline is continuing to expand its services into the Caribbean and across the Americas out of its easy transfer hub at Panama City’s Tocumen airport. It is private sector owned, consistently profitable, listed on the North American stock exchange, has a modern fleet of aircraft, is not subsidised, and funds all its own requirements. In comparison, aviation in the Caribbean has been a disaster, staggering from one financial and operating crisis to another, too often micromanaged by governments, costing taxpayers millions of dollars in subsidies while becoming so expensive that inter-regional travel is now in rapid decline. Unfortunately, in the real world of Caribbean aviation, political interference has meant that decisions are often based on petty nationalism and an absence of the efficiencies that the private sector usually brings. Consequently, governments subsidise foreign carriers to fly in, subsidise regional airlines, and subsidise fuel. Then, in response, they tax in multiple ways, travel and travellers, to recover what has been spent. Clearly this is unsustainable. If not addressed soon, regional aviation, and by extension regional integration is likely to continue its slow downward spiral. The remarks made when CARICOM Heads met demonstrate that there is widespread acceptance that if inter-regional travel is to flourish, decisive action is required to ease the multiple taxes charged and to remove other impediments to travel. What is needed now is action.